If you are reading this article, then you are a beginner who wants to succeed. It does not matter for what purpose you create a blog, whether it is to make money, inspire other people or you just wish to share your thoughts, in any case, you want people to read you. Thus, you have a cool blog, with smart and compelling ideas, unique content and attractive images. This guide will help you to find out how you shouldn’t set a promotion of your blog and how to attract as many readers as possible. You shouldn’t forget to add regularly new materials to your website. Add as many articles as possible and make them easy-to-read. The more benefits you bring to people in your articles, the more you will be “loved” by search engines, and soon you will reach the top. New posts show not only that the blog is active and developing, but also your passion and care about the readers, who will constantly receive interesting and useful material from you. Note that success and popularity of your blog depend on the amount of web traffic you can attract to your website. Yes, don’t ignore, at first glance, even such a trifle. Be sure to create for each article Title and Description. By the title, the search engines understand what is being discussed in the article. Until then, the title is the determining factor in the ranking. Also, think about the keyword. Determine the keyword under which the new article will be written. Try to specify it in the title. Try to use the keyword in the first paragraph of the article. But don’t try to “cram” as many keywords into the text as possible. Concentrate on the quality of the material. You shouldn’t think that you can do without the opinions of your readers. Comments perform the same function for the search engine as the new material. Discussion of materials allows you to create a correct picture of yourself. The more the article is, the more comments you will receive. Use particular websites to help you. Top Commentators Widget allows you to see the best commentators in the sidebar of your blog. Subscribe To Comments will enable people to subscribe to new comments. This paragraph is about how to promote your blog for free. Despite the fact that such an optimization loses ground, it can’t be neglected. 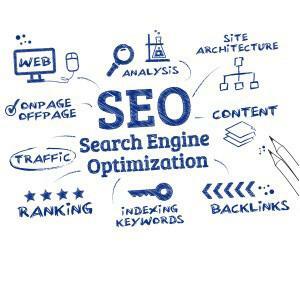 Start your acquaintance with the basics of SEO, at least in order not to re-optimize your blog accidentally and not to get under the filters of search engines. For better indexing, install the plugin SEO Ultimate, do a natural re-link and provide your articles with pictures for clarity. Promoting your blog, you can’t do without advertising. You can advertise your blog in different ways, it all depends on your imagination. It can be either paid or free. If you actively communicate by email with a large number of people, then adding a link to your blog at the end of the email will become an excellent way to get visitors. You can also use BlogSnob. This is a network of free text ads for blogs. There you can exchange advertising within the system, the users of this service participate in the classic partner program for the exchange of advertising. Ads can be customized according to your taste. While you are broadcasting an advertisement of someone’s blog, be sure that somewhere on the Internet someone is advertising you as well. Socialize your blog. Install social plugins (share) from the most popular social networks, such as Facebook, Twitter, Google+ and others. This way you will give your readers the opportunity to share your articles with their friends and distribute them through the web. This method works great because people spend a lot of time online nowadays. That is why a search for website to write essays is so popular. It allows students to have more free time and spend it however they like. Create also a sitemap in order search engines can easily scan your blog and people to find easily the information they need. There are a lot of other ways to promote the blog, but these are basic. Use as many forms of promotion as possible. Do not forget that content is a crucial factor. If your articles are useful and unique, then they will reach top positions. Do not worry if your blog is not technically perfect. Focus on creating the content. Be active and never stop! Michael Stoddard, blogger and traveler, who loves exciting stories and new places. This entry was posted on Saturday, August 5th, 2017 at 10:10 am and modified by WebMaster View at 12:11 am. You can follow any responses to this entry through the RSS 2.0 feed. You can leave a response, or trackback from your own site.